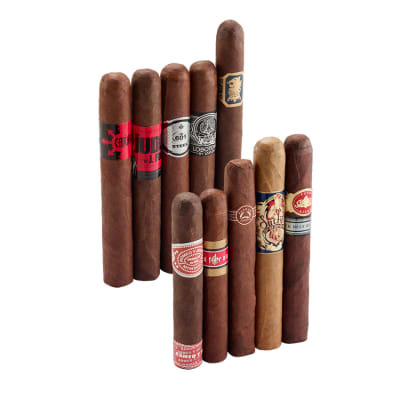 The Cigars for Warriors Extreme Sampler is one more way you can help us support Operation: Cigars for Warriors! Our tough-as-nails troops deserve a break in the action, and we show our support by sending thousands of cigars each month to our soldiers as a way to say "thanks," and to help our warfighters wind down after a tough day on patrol. 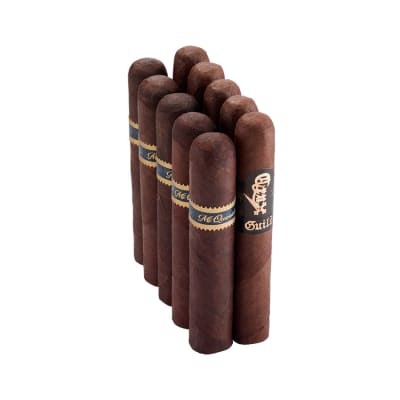 With that in mind, we present to you 10 cigars that will give you a rewarding sense of satisfaction: each juicy morsel teems with rich flavors, smoking near-full or full. 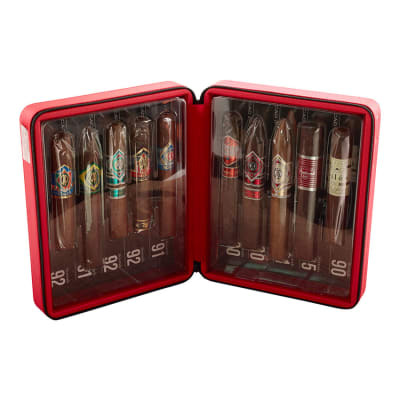 And your purchase helps us continue our mission of recognizing the commitment of our men and women in uniform to our countrys service, and our commitment to providing them with a taste of home - and a chance to relax with a good cigar! 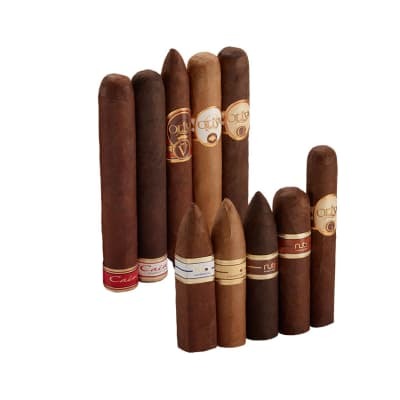 Famous Smoke Shop is a proud top sponsor of Op: Cigars for Warriors. I love this lil stick 1st thing in the am. It?s my cup of joe and this smooth n sweet stick that gets my day going. Never lets me down. Old faithful.